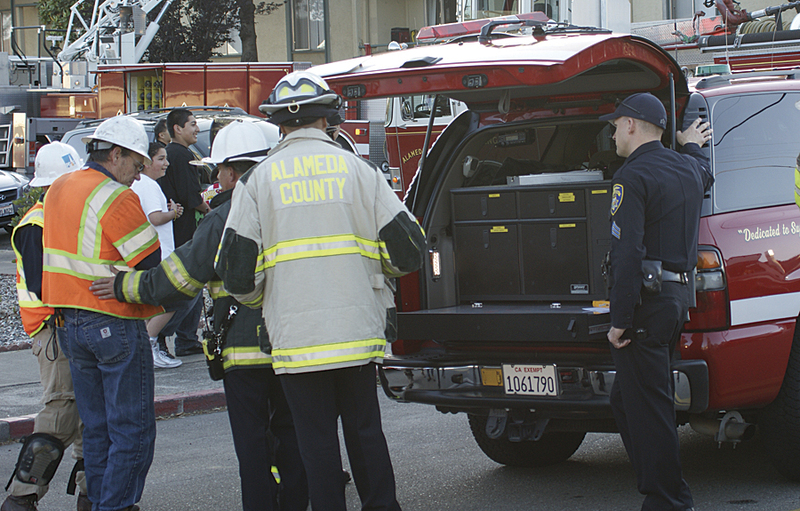 In fire departments across the United States, emergency calls are received by the dispatch center, which transmits and coordinates critical information to response units. 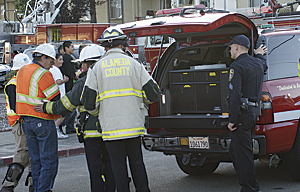 Fire incident commanders responding to the incident and on the scene must take down essential information transmitted to them via radio, jotting it down on notepads or even on their hands. 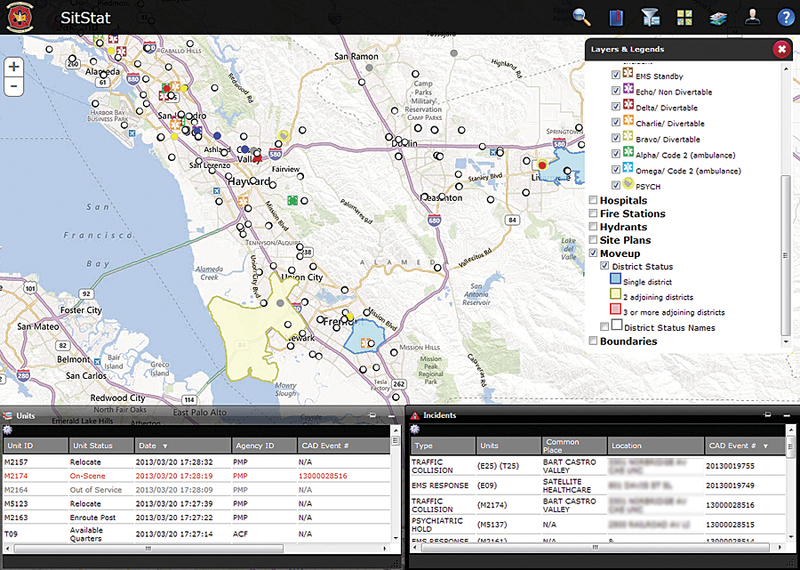 In some instances, they don't have the critical information that the dispatchers have at their fingertips to manage operations or incident responses. 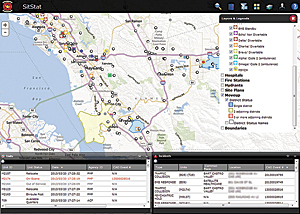 ACRECC turned to Esri Silver Partner Psomas of Riverside, California, to implement SitStat because of the firm's expertise in Esri software design and implementation, experience and understanding of emergency management business processes, and involvement in deploying enterprise GIS at Alameda County. Working as part of an integrated project team, Psomas provided overall project coordination and managed the design, development, and deployment of SitStat.